It Tolls For Thee Dr. Martin Luther King Jr. He Who is Greatest Shall Be Your Servant Dr. Martin Luther King Jr. Integration of Moral Concerns Dr. Martin Luther King Jr. The Weapon of Love, Dr. Martin Luther King Jr.
On the Move Dr. Martin Luther King Jr.
Unearned Suffering Dr. Martin Luther King Jr. Victory For Justice and Goodwill Dr. Martin Luther King Jr. 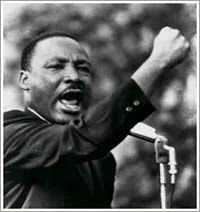 I Have A Dream Dr. Martin Luther King Jr.
Free At Last, Dr. Martin Luther King Jr.
Now Is the Time Dr. Martin Luther King Jr. Soul Force Dr. Martin Luther King Jr.
Nobel Peace Prize Acceptance Dr. Martin Luther King Jr. The Autobiography of Martin Luther King Jr.
King’s Self Eulogy Dr. Martin Luther King Jr.